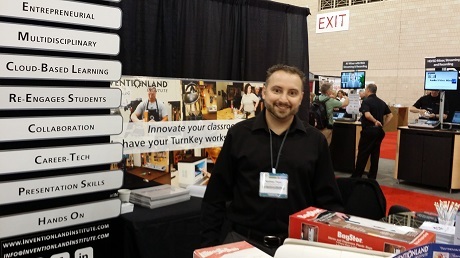 Inventionland Institute’s Interdisciplinary Curriculum Excites at ISTE 2015! 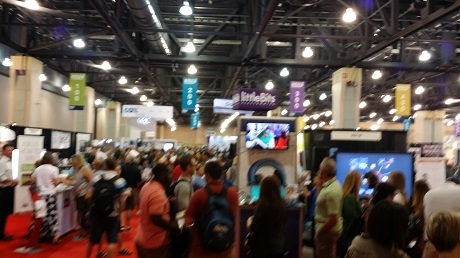 Before celebrating our nation’s independence this month, our team trekked to the City of Brotherly Love for the International Society for Technology in Education Conference and Expo (ISTE 2015). Admittedly, setting up shop in Philadelphia’s Pennsylvania Convention Center alongside the likes of companies like AT&T and Amazon.com was a bit daunting and that overwhelming feeling didn’t exactly dissipate when the nearly 16,000 attendees who represented 76 world nations began flooding through the doors of the June 28-July 1 expo. But, that’s when we started talking about our STEM-approved-and-accredited Inventionland Institute curriculum. 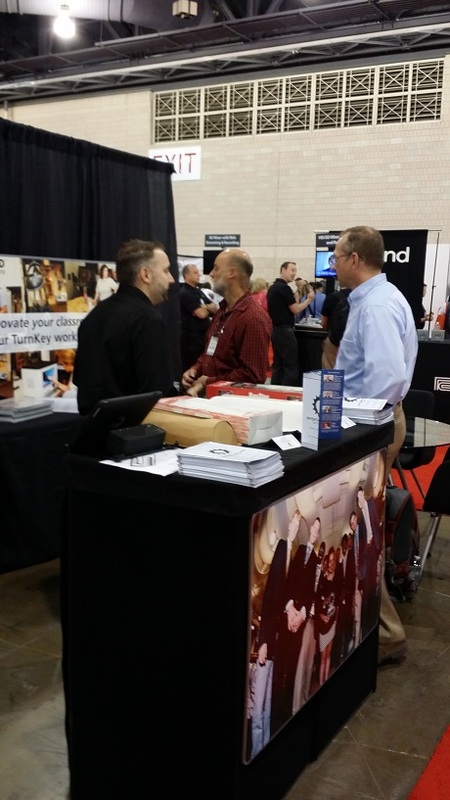 Once the countless number of educators at ISTE 2015 heard about the project-based learning and entrepreneurial aspects of our interdisciplinary curriculum, the excitement began to build around our booth. OK, the free 3D-printed keychains that we gave away didn’t hurt, either. One of the things that Inventionland Institute Executive Director Nathan Field said made the curriculum so popular among educators at ISTE 2015 was the way that it can be applied in so many ways, for everyone in grades six through 16. Further, Field noted that the Inventionland Institute curriculum stood out at ISTE 2015 because of its “secret sauce” or the proven inventing method that the coursework is based around. That proven method works within the web-based Inventionland Institute curriculum by not just giving students a problem with a pre-determined solution. Instead, students are challenged to identify a problem, then utilize the STEM fields to create a custom solution. On their road to that solution, students collaborate to complete research, develop prototypes, engineer new product ideas and pitch their final products to a panel of experts. The engaging curriculum also gives students the opportunity to utilize 3D-printing technology. “More than a dozen educators came up to me during the [ISTE 2015] conference and said, ‘We came here looking for something and didn’t know what it was. We found it! '” said Field. If you think the Inventionland Institute curriculum may be just what your educational institution needs to complete your own STEM initiatives, but you missed ISTE 2015 and you’d like to learn more adopting the interactive curriculum, contact us for more information today.